The economy is tough = anything for the sale…..
Amazon.com has poured another $2.25 million into its effort to overturn a law requiring some online retailers collect sales tax on purchases made by Californians, bringing the company’s total investment in the referendum qualification drive to more than $5 million. The latest contribution to the committee funding the effort, “More Jobs Not Taxes,” was reported in a campaign filing posted Friday to the Secretary of State’s website. Referendum proponents have until Sept. 27 to collect the 504,760 valid voter signatures needed to qualify for the next statewide ballot. If they hit that mark, the budget-related bill will be suspended until voters can act on the issue in the June 2012 statewide primary election. To the victor go the spoils, apparently. Holding a firm majority in the Assembly, Democrats’ cadre of office and committee staff exceeds Republicans’ by a higher percentage than the number of legislative seats that each party controls, records show. Democrats hold 65 percent of the Assembly’s seats – 52 of 80 — but they control 77 percent of the employees tied to Assembly offices or committees, according to a computer sort of the Assembly staff roster. Cumulatively, Democrats’ committee and office staffing costs total $3.1 million per month, compared to Republicans’ $664,116 – roughly 82 percent and 18 percent, respectively. The computer sort was released by the office of Assemblywoman Shannon Grove, R-Bakersfield, from data dated May 31 that is posted by the Assembly on its website for public review. Spending was more proportional in monthly staffing costs for the Democratic and Republican caucuses, representing employees charged with serving all members of a particular party rather than one lawmaker or committee. The Democratic Caucus had 129 aides costing $824,593 per month, while the Republican Caucus had 64 aides costing $411,366. The proportion of salary costs was 67 percent and 33 percent, respectively. Indeed, it was a fairly Democratic crowd, and Gallegly deserves credit for showing the grace to not only attend but also sit at the head table, along with his wife, Janice, for the entire, three-hour affair. But it did make for some fairly unusual political pairings. For instance, sitting about 20 feet from Gallegly, one of the state’s most outspoken proponents of tough policies on illegal immigration, was Assemblyman Gil Cedillo, D-Los Angeles, the author of California Dream Act legislation and the man who wrote the short-lived state law giving illegal immigrants the ability to obtain driver’s licenses. There may be no two elected officials in all of California who are further apart on the question of how to deal with illegal immigrants. Also in the room — and one of the speakers — was Anita Perez Ferguson, the Santa Barbara native who went on to become president of the National Women’s Political Caucus. Gallegly knows her better as the Democrat who ran a tough campaign against him in 1992. Perez Ferguson told me that she and Gallegly exchanged brief, cordial remarks. Senate President Pro Tem Darrell Steinberg said today that he supports legalizing Internet gambling in California but does not want any legislative action on the issue this year, extending the big-money debate for at least another year. Despite numerous hearings on the matter, Steinberg said in a letter to gambling interests and opponents, “significant, unresolved issues remain.” Disagreements include which games would be made legal and who would be eligible to operate the sites. 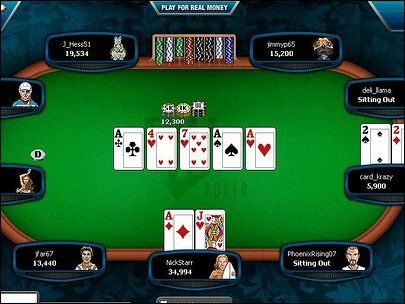 “We believe that well thought out, fair solutions to these differences can be reached, but not before the end of this legislative year on September 9th,” says the letter by Steinberg, D-Sacramento, and Sen. Roderick Wright, the Inglewood Democrat who chairs the Senate’s Governmental Organization Committee that oversees gambling regulation. California’s Indian tribes support online gambling but are split over bills that have so far been introduced. SB 40 by Sen. Lou Correa is sponsored by several card rooms and tribes, including the Morongo and San Manuel bands of Indians. Other tribes oppose the bill, saying it would exclude them from cashing in on the windfall that legal online gambling could bring. So, this legislation will be “MILKED” by the Legislators for campaign contributions and will be considered next year. Things are looking up for Rep. Janice Hahn. The 44th Congressional District doesn’t technically exist yet, but its first election poll does. Congresswoman Janice Hahn, one of three Democrats who have declared a run for the new San Pedro- Carson-Compton district, on Friday released poll results commissioned by her campaign that showed her as the pick of 47 percent of likely voters in the June 2012 primary. Long Beach Rep. Laura Richardson had 24 percent and Assemblyman Isadore Hall of Compton took 7 percent; 22 percent were undecided. Hall, an African-American who has been endorsed by the California Legislative Black Caucus, was unknown to 70 percent of the likely voters polled. Hahn was viewed favorably by 60 percent of respondents, while Richardson was reviewed favorably by 37 percent. Notably, the poll calculated Hahn’s favorability rating among African- American voters at 74 percent to 68 percent for Richardson, who is black. The mark could be attributed to Hahn being the daughter of the well-loved Kenneth Hahn, who represented much of the inner city area on the Los Angeles County Board of Supervisors for 40 years. And….. there is NO Craig Huey to run against in 2012, since Huey was apportioned into a neighboring Congressional District (although he could run in CA-44, but it is a very Democratic CD). A Fullerton DMV employee accused of issuing 12 commercial drivers licenses after falsifying computer records in exchange for money is expected to be arraigned Monday. 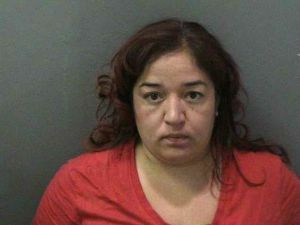 Michelle Carbajal, 37, of Fullerton, faces a possible 22 years in prison if convicted of 19 felony counts of altering public documents and 19 counts fraud, according to a news release. The dozen fraudulently approved licenses have been revoked, said Susan Kang Schroeder, chief of staff for the Orange County District Attorney’s Office. Between June 10, 2009, and April 27, 2010, Carbajal accepted $23,000 from 12 people to alter their driver’s license records showing they passed the written and driving tests to obtain a commercial license and issued them permits, prosecutors said. None of the drivers passed any of the tests, some of which were safety-related, including proper use of specialized brakes, pulling double trailers, being able to drive semi-trucks and other commercial vehicles. The drivers were referred to Carbajal through a third party or parties, who are still unidentified, and it remains unclear how the money was split between her and the other person or persons, the district attorney’s release said. “The drivers will not be prosecuted at this time because the information they provide will be vital to the prosecution of the defendant who was in the position of trust,” Schroeder said. Carbajal who has worked with the State of California for nine years was arrested last Friday and the investigation is continuing.